HiRUM is excited to announce that HomeAway is soon to be our newest OTA channel manager integration. HomeAway is an online vacation rental website based in the United States. They have more than two million vacation properties across 190 countries listed on their website. They have created a simple and easy-to-use vacation rental marketplace that gives travellers, owners, and property managers the tools, data, and insights needed to produce the best all-around experience. So we’re delighted to announce that HiSITE will be one of the few platforms able to offer HomeAway channel manager integration. Founded in February 2005 by Brian Sharples and Carl Shepherd, HomeAway has grown to operate through a number of websites and languages, and offers various types of vacation properties that fit nearly every taste and budget, including everything from beach houses to barns, cabins, condos, and even castles. They officially became part of the Expedia Group in 2015. As part of the Expedia, Inc family of brands, HomeAway also owns Sydney based holiday rental website Stayz, who is a leader in vacation rentals with over 40,000 property listings in Australia. In addition to Australian based Stayz.com.au, the HomeAway portfolio also includes other leading vacation rental sites around the world like US based VRBO.com, VacationRentals.com, and Homelidays.com, New Zealand based Bookabach.co.nz, and France based Abritel.fr. 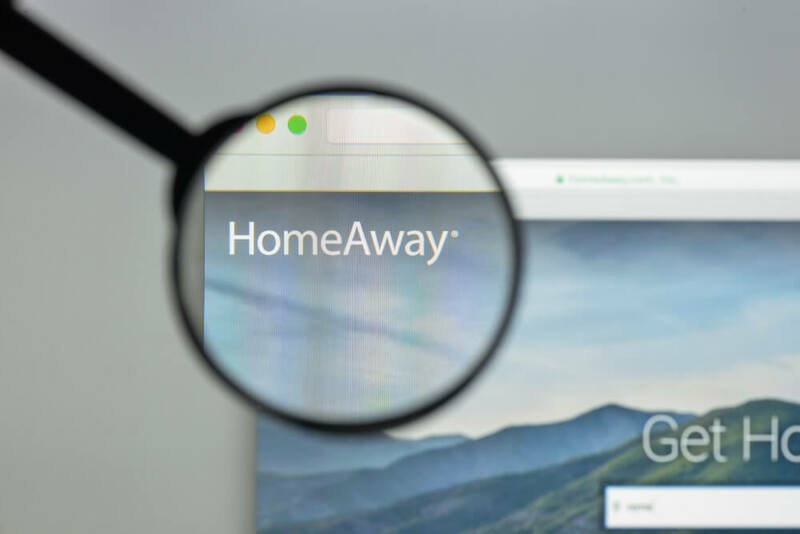 Annually, HomeAway receives roughly 17 million visits to their websites and gets an estimated $14-$16 billion in vacation rental bookings worldwide. These numbers suggest an average booking revenue of roughly $8,000 a year for each listing on HomeAway. This is most definitely a good amount of added value for HiSITE Platinum users for just one new channel integration. It’s also important to point out that HiSITE is currently one of the only integration partners with the ability to offer a HomeAway channel manager connection. When the integration with HomeAway goes live, it will be available to all HiSITE Platinum users. Customers with HiSITE Platinum will be able to simply tick ‘activate this channel’ as they do for other channels through the platform. After a few quick administrative details are set-up, their properties’ rates and availability will be instantly uploaded to HomeAway. In addition to the upcoming HomeAway channel manager integration, stay tuned for more new channel integrations coming to HiSITE in the future including TripAdvisor Vacation Rentals. If you are interested in learning more about HiSITE Platinum including details about signing up or upgrading your current subscription, please call 07 5574 4990 or email our sales team at sales@hirum.com.au. Airbnb Channel Manager Connection is LIVE!